Sonat Birnecker Hart describes the origins of Chicago’s Koval Distillery and its distilling process during a tour on Dec. 24. While they were preceded by other distilleries in the greater Chicago region (the most prominent being North Shore in suburban Lake Bluff), Koval was the first established within Chicago city limits since Prohibition when it started production in 2008. Koval started with a white (unaged) whiskey, as do many new distilleries needing to get a product to market quickly and create cash flow. Koval quickly expanded to a line of young aged whiskeys, which stand out because they are made with grains used less typically in distilling, such as 100 percent oat, millet, spelt, and rye bottlings. They also developed a line of popular liqueurs, such as Ginger and Chrysanthemum & Honey, and recently added a dry gin to their lineup. 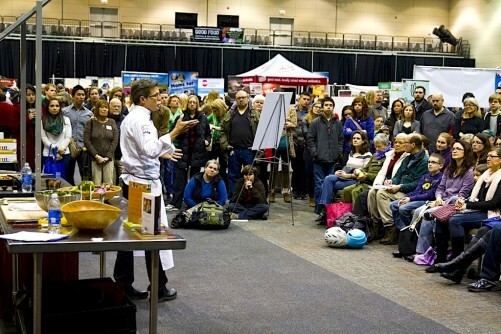 Sonat will discuss Koval’s evolution during a panel on Good Food Success Stories that is part of FamilyFarmed’s Good Food Festival & Conference scheduled for March 19-21 at Chicago’s UIC Forum. The panel will take place March 19 as part of the event’s Financing & Innovation Conference. Robert Birnecker describes the rye whiskey produced by Koval Distillery while wife and co-founder Sonat Birnecker Hart looks on during a Dec. 24 tour and tasting event. Koval is also an example of the collaborative nature of the fast-growing craft beverage sector. Far from shunning competition, Koval has helped create it. First, Koval played a key role in lobbying for a change in the Illinois law, dating back to 1934, which prevented distilleries from giving tours or on-site samples to customers. Sonat said that before this change took effect, the then-tiny distillery was such a gathering spot for neighborhood families with young children (such as her own) that some people mistook it for a day care center. While this legal change was crucial to Koval’s own success, it also opened the way for other entrepreneurs to venture into the business. “It also caused a huge boom in distilleries opening up in Illinois,” Sonat said. 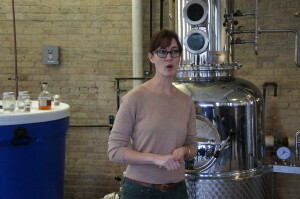 Today, there are four other distilleries operating just within Chicago’s city limits — CH Distillery, Chicago Distilling, Letherbee, and Rhine Hall — and other that have joined North Shore in the suburbs, such as Few Spirits in Evanston, Quincy Street Distillery in Riverside, and Tailwinds in Plainfield. 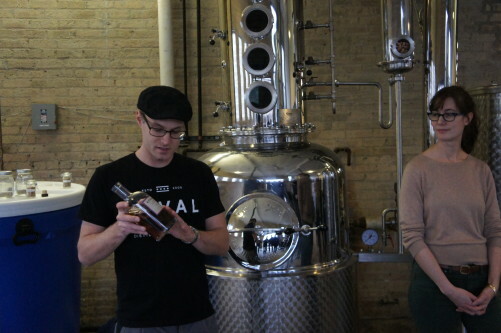 The owners of Koval also provided training, through workshops and apprenticeships, to other would-be distillers, a number of whom have gone on to start their own spirits businesses. This is perhaps best represented by Bill Welter of Journeyman Distillery in Three Oaks, Michigan, who distilled his first aged whiskey while learning at Koval and named it Ravenswood Rye after the Chicago neighborhood where Koval is located. This training component ultimately led Sonat and Robert to add a consulting business, Kothe Distilling Technologies, which has set up more than 70 start-up distilleries in the United States and Canada. The kind of food artisanship and entrepreneurship Koval represents is enough to identify the company with the Good Food movement, but the Birneckers go further. 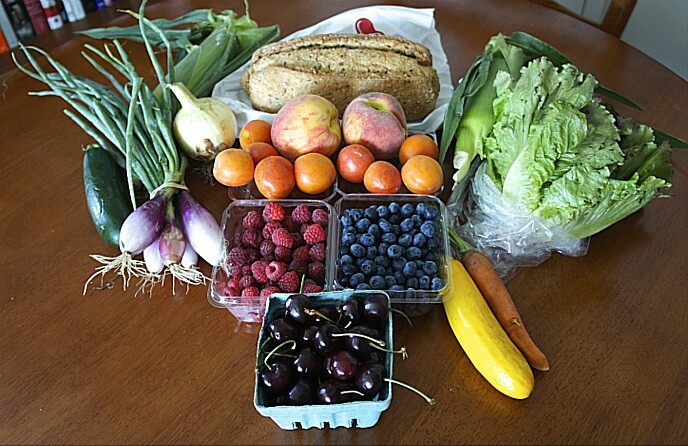 They made a decision early on to use only organic ingredients, which in turn has benefited local farmers seeking alternatives to conventional agriculture and the corn, soy, and other commodity crops that dominate the region’s agriculture. With the exception of malted barley, which makes up a small percentage of Koval’s grain bill, the distillery buys only whole grain and mills it to its own specifications. 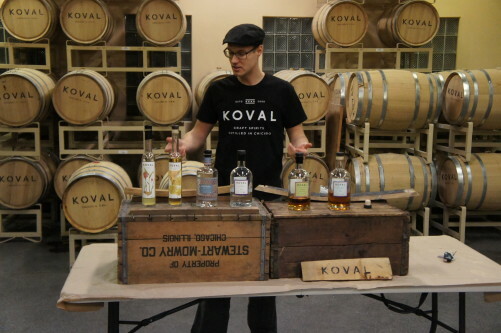 Robert Birnecker describes an array of Koval’s spirits during a Dec. 24 tour and tasting. This all certainly seems a great distance from the couple’s past careers. When they came to their life-changing decision, Robert was press secretary for the embassy of his native Austria in Washington, D.C. Sonat, who holds a masters’ degree from Oxford in Jewish studies and a Ph.D. from the University of London in German, was a tenured professor in Jewish history. But distilling is actually in Robert’s blood. He comes from three generations of distillers in Austria, learned the trade growing up, and his family’s contacts helped him connect with manufacturers of stills and other equipment in Europe. Chicago and its fans of craft spirits are grateful that they did. This entry was posted in Ancient grains, Craft beverages, Culinary Trends, Fermentation, Food Artisans, Food Entrepreneurs, Good Food business development, Good Food Festivals, Good Food movement, Local Food, Organic farming, Spirits and tagged Chicago craft spirits, craft distilling, craft spirits, distilling, FamilyFarmed, fermentation, food artisans, Food Entrepreneurs, Food entrepreneurship, Good Food Festival & Conference, Good Food movement, Illinois Craft Distillers Association, Illinois craft spirits, Koval distillery, local food, Robert Birnecker, Sonat Birnecker Hart, Spirits. Bookmark the permalink.